You'll be £19.99 closer to your next £10.00 credit when you purchase The Great Central Railway. What's this? This compelling book centres on the Great Central Railways early history, focusing particularly on its drive to reach London. It follows the subsequent fortunes of the London Extension right up until its closure, and into the preservation era, examining the remarkable achievements of hundreds of enthusiasts and their continuing struggle to fulfil the aspirations of those 1969 visionaries. In 1899 the Great Central Railway opened a new main line between Nottinghamshire and London. It was built to the highest of standards; civil and mechanical engineers able to benefit from the experience of over fifty years of British railway construction. It was a glorious achievement. Yet, despite incorporating some of the best facilities to enable it to operate in a more efficient way than its older rivals, it had a short working life compared to its contemporaries. By the end of the 1960s, most of it had closed. However, ironically, that abandonment by the state-owned British Railways presented an independent and enterprising group of railway enthusiasts with a unique opportunity to operate their own main line with their own engines. In 1969 the Main Line Preservation Group was formed with a vision to re-create a fully functioning, double track, steam-worked main line between Nottingham and Leicester. This book explores the journey, development and changes of the Great Central Railway and is a fantastic guide to how the railway industry has changed over time. This book is nicely illustrated, with a broad range of photographs from the authors collection and elsewhere. Whilst it boasts a good number of the classic three-quarter views of steam locomotives in operation, there are also a few lovely pictures of people working on or using the railway. 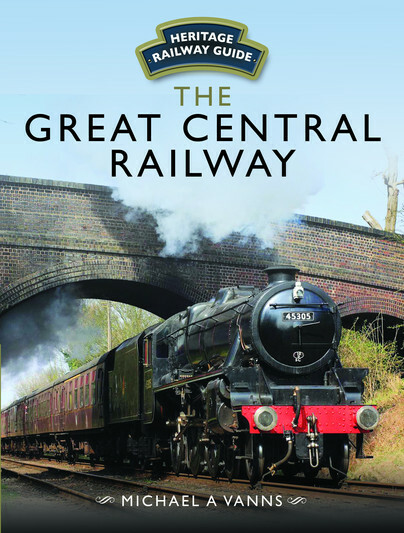 This book provides a good chronological explanation of the development of the GCR which will be of interest to people visiting the line who want to know more about its history. As usual, another interesting work belonging to the magnificent Heritage Railway Guide Series. One of a series providing the story behind major British heritage railways, two-thirds of the book covers up to the closure in 1969, with the rest covering preservation and future prospects. 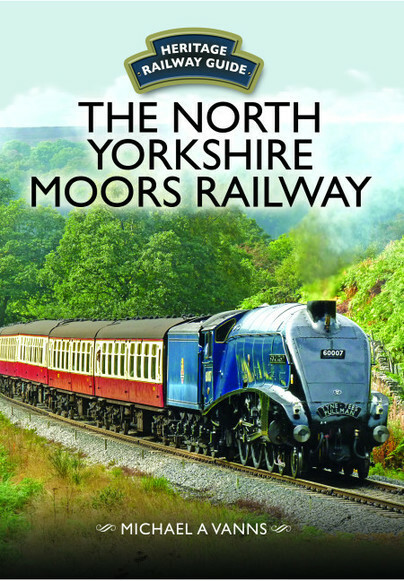 Well written and produced to a high standard, this book is not intended to replace the voluminous literature on the Great Central, but be of interest to those who want more background on one of the best run preserved railways in the UK. An excellent railway heritage guide. Where I live in North Norfolk, there is a heritage steam railway that attracts hundreds of thousands of tourists and boosts the local economy. Most people now agree that Beeching went too far in culling British Rail's lines, and overcrowded passenger trains are testament to that. This wonderful book tells how a group of enthusiasts seized the oppoertunity to perpetuate the steam railway line from Nottingham to Leicester, thus preserving Britain's steam heritage in the East Midlands. Brilliant. Michael Vanns was born in Newark-on-Trent in 1956. After studying history and history of art at Leicester University, and a short spell at Tamworth Castle Museum, Michael joined the Ironbridge Gorge Museum Trust in 1978. He remained there until 2009, working on a variety of projects starting with the Elton Collection which examined the Industrial Revolution through contemporary prints, drawings and books. He is the author of ‘Witness to Change: A Record of the Industrial Revolution’, an appreciation of the Elton Collection published in 2003. He was involved in museum education and in a number of large Heritage Lottery funded projects, including the refurbishment of the country’s best preserved Victorian decorative tileworks, and the recreation of a small town Victorian street. For both these projects he was responsible for designing the displays and, in the case of the latter, the choice of buildings that were to be reconstructed. During his career he has also written and had published 13 books, all but two on railway subjects. These include a number of works on British railway signalling as well as ‘The Railways of Newark-on-Trent’ (Oakwood), ‘Rail Centres: Nottingham’ (Ian Allan) and ‘Severn Valley Railway: a View from the Past’ (Ian Allan).